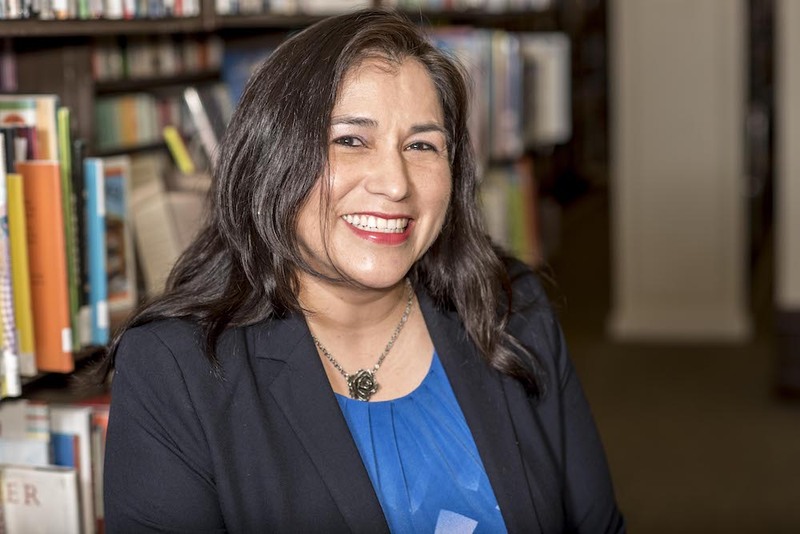 Elizabeth Aguilera is an award-winning multimedia journalist who covers health and social services for CALmatters. Previously, she produced stories about community health for Southern California Public Radio/KPCC 89.3, where her reporting revealed lead-tainted soil on school campuses near a former lead battery recycling plant. She was also a reporter at The San Diego Union-Tribune and The Denver Post. Before moderating a Zócalo/The California Wellness Foundation event titled “How Are Immigrants Changing Our Definition of Health?” she spoke in the green room about public housing in Denver, a meal in Sicily, and New Orleans after Katrina. I’m almost finished with Bobby Kennedy, by Larry Tye. What story of those you’ve written do you find yourself thinking most about? The story I often think about is an example of why I became a journalist. It’s a very simple story. I was visiting a public housing complex in Denver. And I went into someone’s place and realized they had laundry hanging inside. The complex had not updated their electricity, so people didn’t have dryers; people had washers but not dryers. The story ended up being that the city had not kept up with the times, and the story itself created change. And there were so many other things there that we never got to [write about]. What’s the most trouble you’ve ever gotten into? I was in sixth grade, and I left school. After school, between school and a sports practice, I went to buy Garbage Pail Kids cards, and my mom found out, and I was in trouble. When I was I college, I was a study-abroad student in Florence, and we traveled around Italy on the weekends. We got to Sicily, traveling through this train strike. Once we got there, we ended up in this tiny town that didn’t see a lot of tourists. And in this little restaurant, I ordered spaghetti, and it was amazing. I always remember it. If we turned on the TV at your house, what channel would most likely be on? It would be on the Roku menu, because I don’t have cable. We stream everything. What’s the first thing parents should do if they think their kids’ school has lead? They should ask questions about that, and they should take precautions. If they think it’s in the water, they should send kids to school with water bottles. Take some precautions and definitely follow up. One of the strangest, most surreal places I went to was New Orleans after Hurricane Katrina. I remember being on a boat—a canoe-type thing—with some first responders, firefighters who were looking for people, and there was also a National Guard soldier on our boat. And just looking at what had happened. If you could meet one journalist, living or dead, who would it be? I would have liked to have met [the late Washington Post publisher] Katharine Graham. She was not quite a journalist, but she was someone who came to believe in what journalism is, and stood up for it, in a time when that was hard for women to do.